It’s turning out to be quite an exciting year for Naga Chaitanya. The actor will be seen in at least three films over the span of next few months and now, he is all set to team up with Srinivas Reddy. The director had earlier made Dhamarukam and the duo have been in talks for quite sometime now. In the past, there were rumours that Srinivas Reddy is going to direct the remake of ‘Hello Brother’; however, the latest news is that he has prepared a new script for Naga Chaitanya. C Kalyan is producing the film and Hansika is expected to pair up with Naga Chaitanya for the first time in her career. This untitled film is going to be launched on February 6 in Annapurna Studios and it’ll hit the floors soon. More details about rest of the cast and crew will be announced soon. 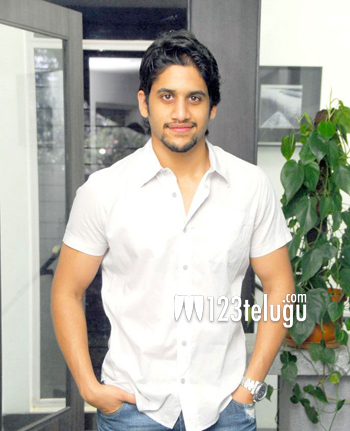 Naga Chaitanya is also busy with the shooting of Vijay Kumar Konda’s Oka Laila Kosam. Apart from from this film, he has Autonagar Surya and Manam lined up for release soon.